Morning: Upon your arrival. 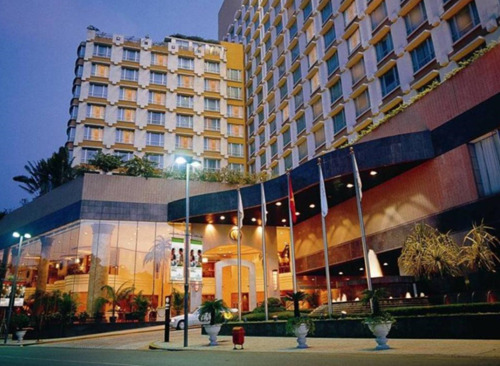 Our guide will welcome you at Tan Son Nhat international airport and transfer you to hotel for check-in. 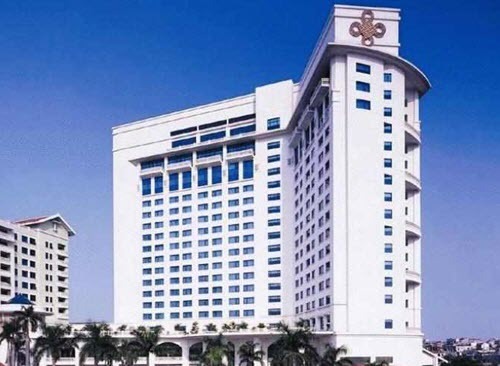 Full day city tour: visit Re-unification Palace (former Presidential Palace), War Remnants Museum, Notre Dame Cathedral and Central Post Office and go shopping at Phuong Nam Lacquerware Center and Ben Thanh central market. Lunch at selected restaurant. Continue to visit History Museum, China Town and Phuong Nam Lacquerware. Transfer to airport for flight to Da Nang. 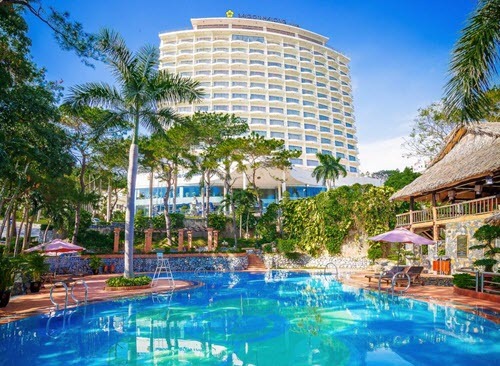 Upon arrival in Da Nang, welcome and proceed to Hoi An with a stopover to visit Cham museum and the Five Marble Mountains. Lunch at selected restaurant in Da Nang and proceed to Hoi An. Check-in hotel. 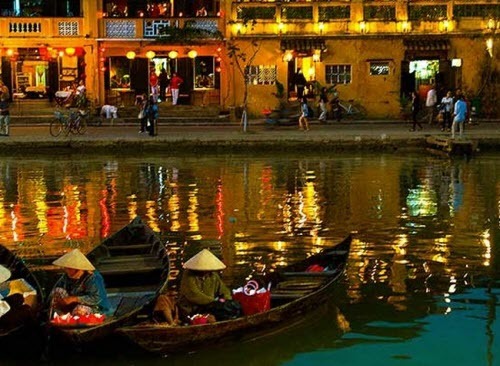 Take a Hoi An sightseeing tour to ancient houses, Japanese Roofed-temple bridge and Hoi An local market. Proceed to Hue – the former capital of Vietnam during the Nguyen dynasty (1802 – 1945). Stop over to enjoy the picturesque view of Lang Co peninsula from the top of Hai Van pass. Lunch at local restaurant in Hue. Afternoon: visit the Imperial Citadel including Flag Tower, Ngo Mon Gate, Nine Dynastic Urns, Nine Holy Cannons, Thai Hoa Palace, Purple Forbidden City. Continue to visit Thien Mu pagoda and enjoy a boat cruise downstream on the Perfume (Huong) River to Trang Tien Bridge. Dinner at selected restaurant and overnight in Hue. 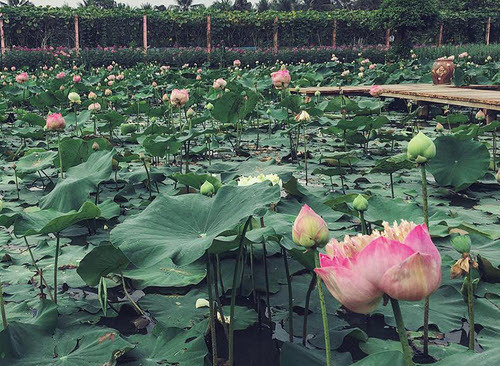 Full day sightseeing tour: visit to King Tu Duc’s mausoleum which has been recognized as the most artistic works among the royal architectures in the Nguyen dynasty. Continue to visit King Khai Dinh’s mausoleum. Lunch at selected restaurant in Hue. Afternoon: visit Phu Cam village to see how local people make incense sticks and conical palm hats. Enjoy shopping at Dong Ba local market. Dinner and overnight in Hue. Transfer to airport for flight to Hanoi. 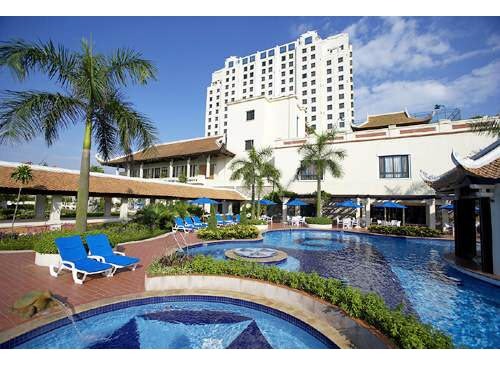 Our guide will welcome you at Noi Bai international airport and transfer you to hotel for check-in. 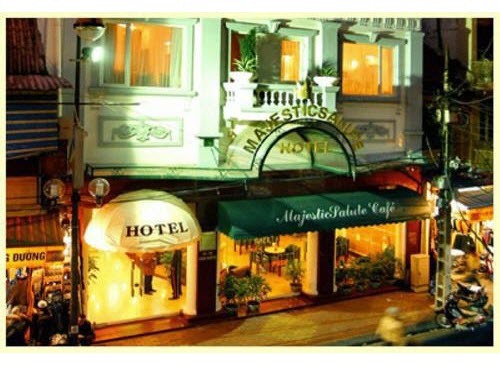 Half-day city tour: visit Temple of Literature, Hoan Kiem Lake with Ngoc Son Temple and The Huc Bridge, visit Ho Chi Minh’s Mausoleum; One-pillar Pagoda, and then visit and go shopping at the Old Quarters. Breakfast at hotel. Leave Hanoi by road for Halong Bay. Upon arrival, you will check in Calypso Cruise private waiting room - The OS Lounge. Embark on Calypso followed by cruise briefing. Overnight on board the Junk. Disembark Calypso at around 12h00. Back to Hanoi, transfer to the airport for your departure flight. 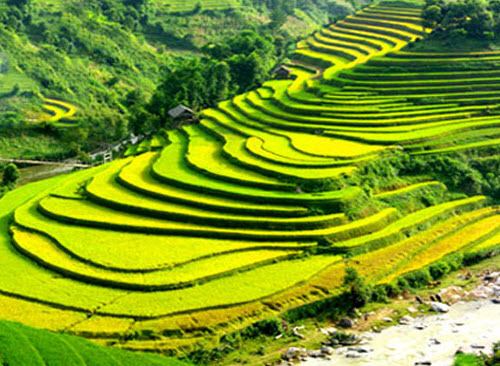 Vietnam Luxury Tour will offer you a perfect combination of luxury services and a variety of cultural, historical and natural espects. 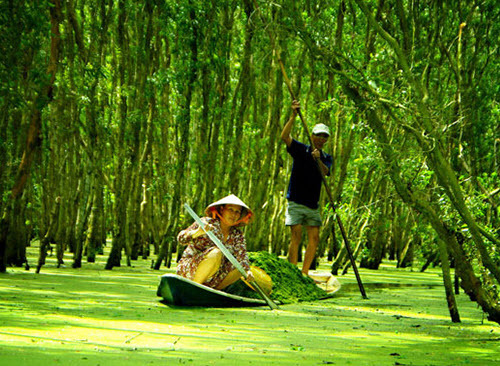 This trip will show you the most authentic of Vietnam through the most well-known sightseeing spots. 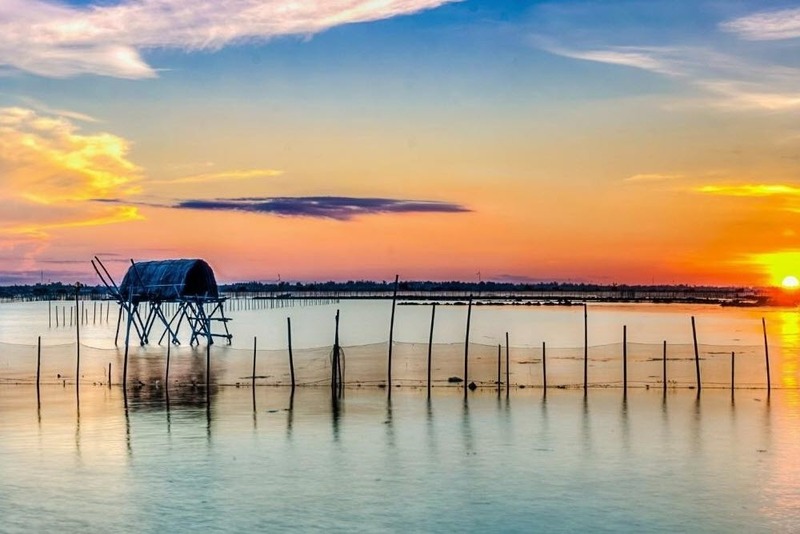 Starting up your trip from Ho Chi Minh city, you will be surprised with this vibrant and non-sleep city with numerous cultural and historical heritages. 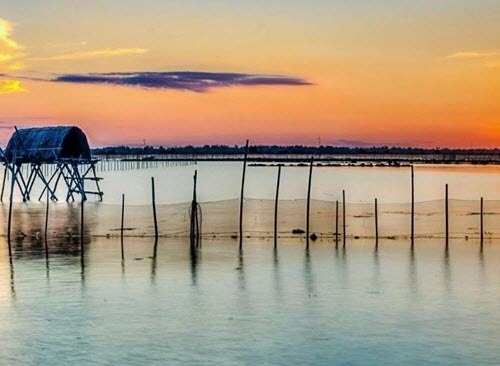 If you are a food lover, Ho Chi Minh city is perfectly a right place to come and enjoy the most authentic Vietnamese cuisine as well as most of the world's popular ones. On the contrary to Ho Chi Minh city, the central of Vietnam including Da Nang, Hoi An and Hue seems to be more tranqil and the living style is a bit slower. 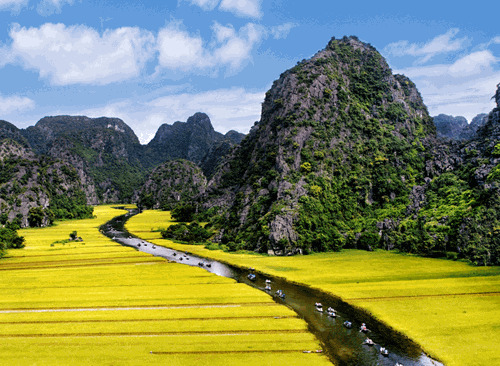 This region is where you can find much more interesting facts of Vietnam's history such as the 13th century Cham Hole See of My Son or the last dynasty of Vietnam, etc. 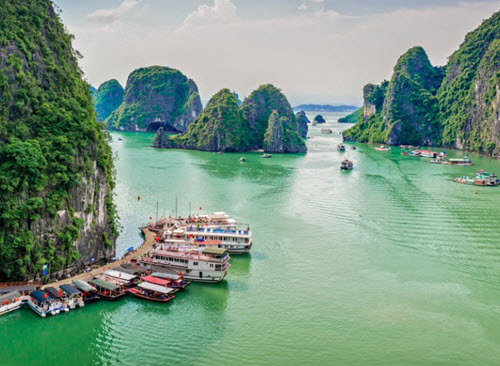 As a part of your tour, short visits to Hanoi and Ha Long Bay will take you back to thousand years in Vietnam's history and bring you to one of the most well known natural wonders of the world.